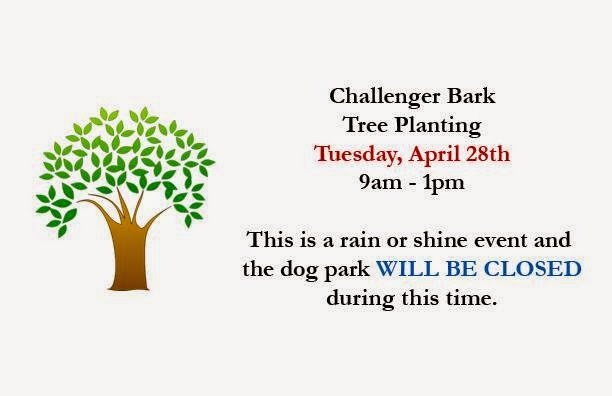 On Tuesday, April 28th Challenger Bark will be closed for tree planting. The hours are 9am-1pm. Anyone wishing to volunteer to help out needs to register with Openlands at this link: http://www.openlands.org/4-28-2015. It takes about 30 seconds. For any questions people can email Kent at challengerbark@yahoo.com and they can also visit and like our Facebook page: https://www.facebook.com/pages/Challenger-Bark-Park/212781442091544.